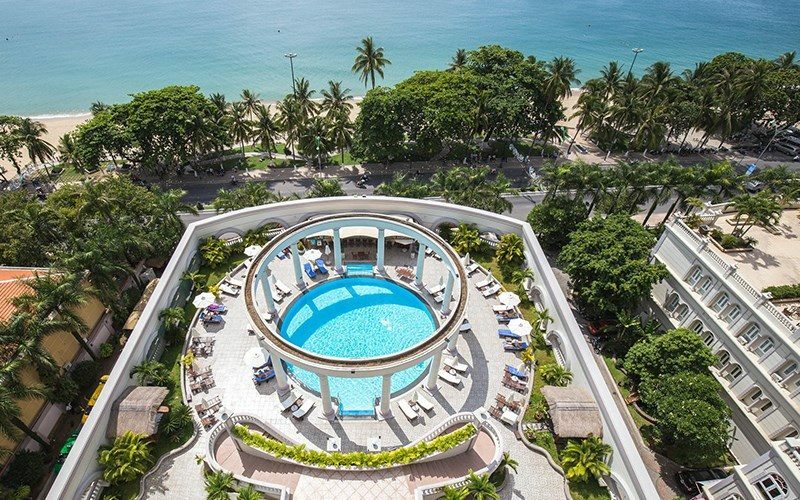 Sunrise Nha Trang Beach Hotel & Spa is the only colonial style hotel build in the heart of Nha Trang. Most of 125 rooms and suites feature private balconies with stunning views overlooking the gorgeous bay. Located just minutes away from major sightseeing, shopping and the entertainment areas, this 5 star hotel attracts its many international patrons with its own private beach just in front of the hotel. A Roman-style swimming pool and private beach are ideal for sun lovers.Relax to the sound of waves lapping on the beach and flickering lights of passing ships in the Sky Lounge, or simply unwind at the Lobby Lounge. Explore culinary diversity under a single roof at the Imperial and Huong Viet restaurants. Tours and recreational activities are specially tailored to explore and experience the beauty and rich culture of local attractions. Operation hours 6:00AM – 9:00PM. With a fully-equipped gym, free fitness roomfor members, you will easy to stay in shape while you’re here. Sunrise Yoga is an ancient practice that exercises the mind, body and spirit, yoga is an excellent way to work on your flexibility and relax. Combining unique poses and breathing exercises, Yoga can be practiced in our spacious studio at Sunrise Spa, which overlooks the beach. If you need a trainer ,we also offer Yoga classes subject to availability of the trainer. This is our compliment service for in-house guest. For other guest, we will surcharge per hour with private yoga trainer. Our transfer service offers single and round-trip airport pick up as well as transport service to destinations in and around Nha Trang city. Airport transfer will be provided on request at minimum charges. If you need more information, please contact contact us directly. 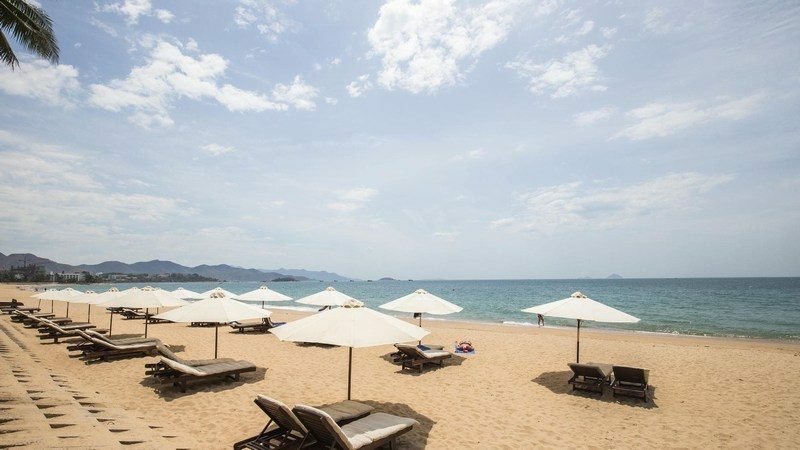 Situation right on Nha Trang beach with its own private area of the beach for guests, this hotel is perfectly located to access all the attractions of this famous holiday town. Indulge yourself in sea and sun. Upon request, our lifeguards will be happy to serve you light meals, tropical cocktails and popular beverages with panoramic views of Nha Trang Bay and offshore islands. 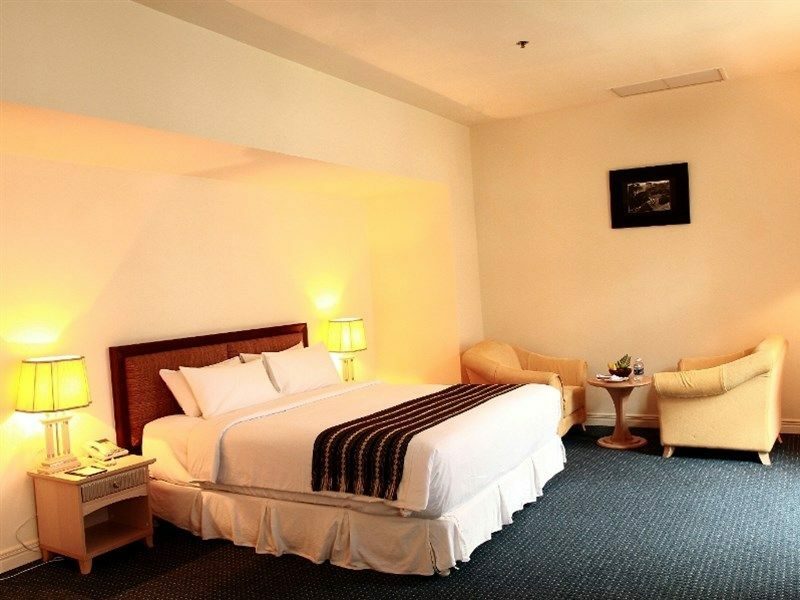 With a sufficient area to create warmth and comfort, Superior rooms are complemented by necessary amenities. Some are connecting rooms and available at non-smoking floor if requested. Perfect for both business and leisure travelers. Various room types with double bed, twin beds and triple beds are tailored for your choice. 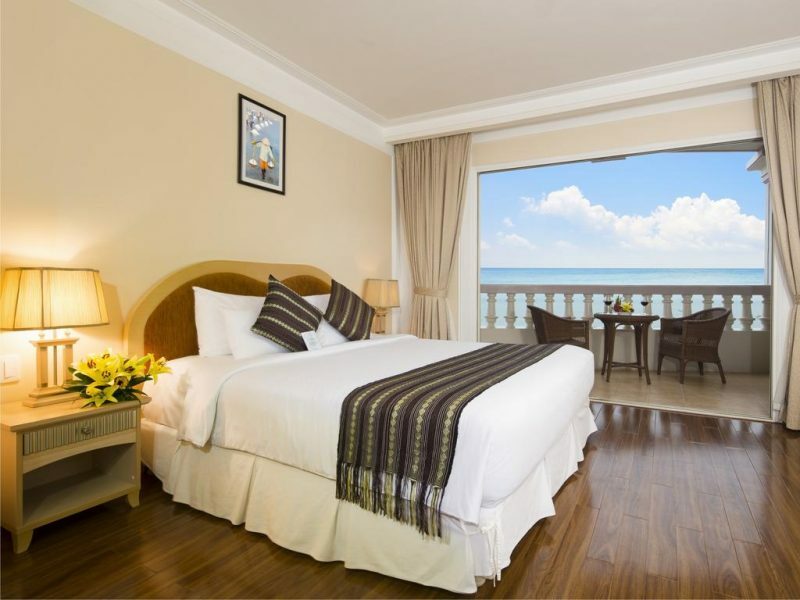 From Deluxe Room balcony, the most breathtaking views of Nha Trang Bay are available. Bathroom with transparent glass will bring nature close to you. Refresh your soul in cosy and well-appointed accommodation with king-size bed. 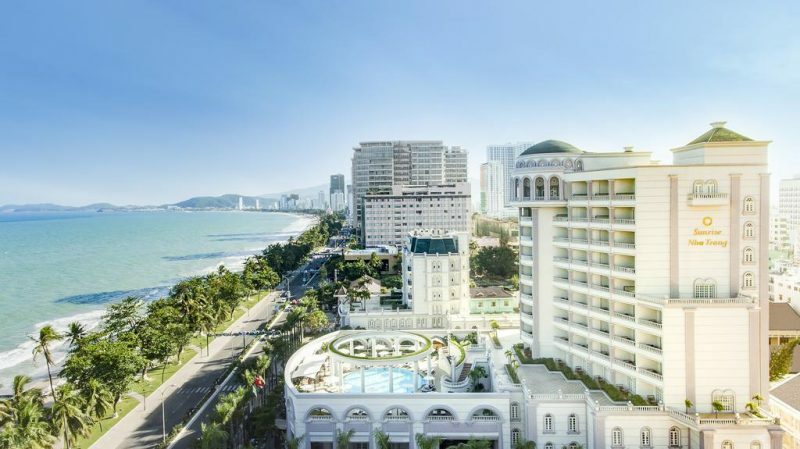 The Premier Ocean View possess breathtaking views of Nha Trang Bays and relaxing atmosphere to indulge in tranquility by the sea. 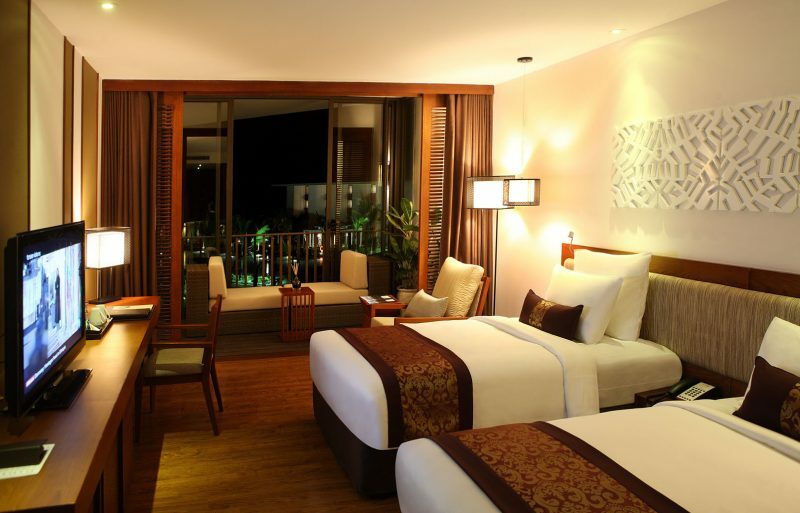 The Premier Ocean View also offer exclusive level of comfort with wooden floor, elegant interior and privileges. Detached from main building, Club Suite Ocean View is spacious and elegant featuring wrap-around balcony and an open view of Nha Trang Bay. 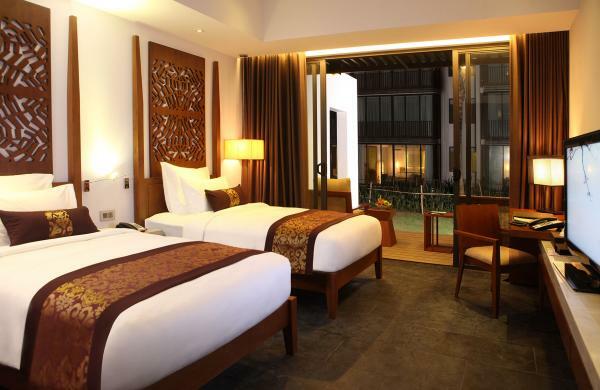 With deluxe jacuzzi and bathroom amenities, these rooms play the perfect host to your dream holiday with your beloved. For romantic souls, ask for the Junior Suite with your own outdoor jacuzzi facing Nha Trang Bay. 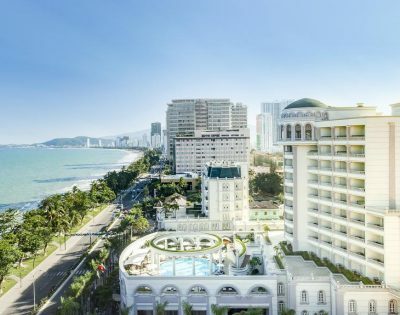 Each of the guestrooms and suites is luxuriously appointed, large and elegantly styled to cater the most discerning business or leisure travellers with magnificent views over Nha Trang Bay. With its own sauna and 2 luxurious indoor and outdoor jacuzzis, the Executive Suite is well decorated in elegant style and wooden flooring. Open the front door to indulge in breezes from Nha Trang Bay, and watch daily life and beauty of the city from another balcony in the wing.